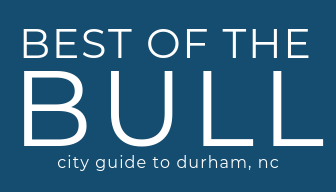 This weekend learn about Durham’s History on the Pauli’s Durham Tour, check out the Asheville Comes East Beer Festival at Hi-Wire Brewing, Free Family Day at the Nasher, the Food Truck Rodeo at Durham Central Park, and a lot more! Every Thursday in March, from 4-7 pm, drink for a cause. A portion of proceeds during our Happy Hours will go to benefit StepUp Durham, and their mission to transform lives. Grab your packet for The Great Human Race, and join other runners for a pre-race Packet Pickup & Pasta Potluck Party. We’ll be donating 10% of proceeds from draft beer/cider sales to The Triangle Nonprofit & Volunteer Center during the party. Pasta Potluck: Bring a pasta dish enough to feed at least 4-6 people along with a serving utensil. We’ll supply the individual plates/utensils/napkins. If you bring a dish, you’ll get to sample other people’s dishes. Our first Fork + Bottle Dinner of 2019. Join award-winning Chef Thomas Card as he welcomes local favorites The Kast Brothers to Counting House and 21c Museum Hotel Durham. Alex Kast is the Director of Chapel Hill Creamery and brother Max Kast of Broadbent Selections, Inc. is the only Master Sommelier in the Southeast. The night will start with a tour of our current exhibition, Portraying Power and Identity: A Global Perspective, followed by cocktail hour and dinner. Chef Card has designed a menu to pair with Chapel Hill Creamery selections and wine will be poured to accompany the meal. Tickets are $75 a person and a portion of every ticket sold will benefit the Food Bank of Central & Eastern North Carolina. Join us for an evening of delicious food and outstanding wines from the Bordeaux region of France. We are teaming up with Alliance Wines to bring you some of the very best Bordeaux wines that are rarely even seen in the United States! We will be featuring a 4 course menu with wine pairings for each course priced at $80 per person. Perfect for date night or to bring a group of friends out. Chris Woods traveled the world for three years seeking out contemporary gardens, and he found 50 of the best. Woods will join us at the Doris Duke Center to share this journey that became the book “Gardenlust.” With wit and humor, Woods describes mission-redefining botanic gardens in Chile and Australia, the most arresting features in public parks in exotic locations such as New Delhi and Dubai, and the most enviable details of lavish private estates and gem-like city yards. The third installment of the Durty Bull Third Thursday Comedy Showcase, hosted by Rob Schneider Comedy – Not That One, is March 21st at 8 pm in the barrel room. Come enjoy longer sets than you get at our Friday night open mic show, alongside Durty Bull beer and soul food. $5 cover on Eventbrite or at the door before the show. New Year, new movement!! CoboBrothers Dance Co. proudly presents: Movimiento 3rd Thursday of March 2019 at NAMU restaurant & café!! The party will be held in the newly opened giant beer hall by Namu!! We’ll be playing a deep, healthy & balanced blend of Salsa, Bachata and Kizomba — bring a friend & hit the dance floor!! We got our hands on a keg of Sexual Chocolate, so we figured why not pair this delicious beer with some chocolate covered pretzel rods. The Questival returns to the Triangle, Friday March 22nd Questival racers get Cotopaxi Luzon daypack ($40 retail value), a “DO GOOD” team flag and a limited edition 2019 questival medal at the finish ceremony and maybe a few surprise goodies from our sponsors too. The Cotopaxi Questival is a 24-hour adventure scavenger hunt where teams of 2-6 friends explore the unknown in their city and the wild spaces around it, do things they never thought possible, and share the stoke with a fun and supportive community… and compete to win $6000 in prizes. Tickets start at $35 and go up until race day. Please join us for the 4th annual Let’s Talk Racism Conference, Saturday, March 23, 2019 from 9:00 AM – 4:00 PM. Our theme is “Moving Beyond Good Intentions.” The purpose of this event is to give K-12 educators and pre-service teachers an opportunity to engage in sessions centered on the impact of systemic racism and ways of dismantling it in our schools. While educators are the target audience, we welcome all community members to participate. Join Team Barley Labs as we raise funds for The Animal Protection Society of Durham through The Great Human Race 5k! Perks for team members include fundraising incentives from local businesses, a pre-race party during packet pick-up on Thursday, 3/21, and an exclusive post-race party at 12:30 p.m. on race day. Join Team HAR as we raise funds through The Great Human Race 5k! Run or walk with us (there’s even an option to bring your pup! ), and help us to reach our fundraising goal of $5000. Pauli’s Durham Tour is a 75-min walk into Durham’s history of racial segregation in the West End Neighborhood. Aya Shabu and friends share stories about the significance of Black Civil War soldiers, the Freedman Schools movement, unsung shero Pauli Murray – her multi-racial ancestry and heritage, and Pauli’s long history of relentless activism. This tour is a collaboration between Whistle Stop Tours and Pauli Murray Center for History and Social Justice. Introducing Golden Belt Yoga with Kirsten at Hi-Wire Brewing’s Durham, NC taproom every Saturday at 11-11:45am. The class will be set to music, open to all levels, and will be $5 (bring your own mat). Calling all Creatives!!!! Capo Vintage presents: Pop up shop block party! From 3-8pm there will be vendors, performances, food trucks, dancing, producers, video games and more! The After (dance) party will start imediately afterwards at 8:00pm at the Living arts collective across the street!!!! $7 cover charge! Join us to celebrate the opening of Choice Tattoo! Make sure to follow us on Instagram @choicetattoonc and LIKE our Facebook page Choice Tattoo! Experience the American Tobacco Trail at night at our Full Moon Fever Bike Ride with the Durham Community Trail Watch group! Have you just moved to the area? Do you find it hard to make new friends now that school is behind you? Join our Speed Friending event! RSVP Required: The event is FREE to attend, but you must RSVP by 3/22/19. You can register as a couple if you’d like to make other “couple” friends or by yourself. A Durham Central Park Food Truck Rodeo is an all-ages Sunday afternoon gathering of dozens of the Triangle’s most popular food trucks, five times each year. The event is free to attend. You simply pay for what you decide to eat from the trucks’ menus–from savory and stick-to-your-ribs to sweet treats. The 2019 Duke Institute for Brain Sciences Discovery Day, a FREE, family-friendly event, will take place on Sunday, March 24, from 1 to 4 p.m. The location is the DIBS “Cube,” located outside the Levine Science Research Center on Duke University’s West Campus, 308 Research Drive, Durham, NC, 27708. Free parking in the Circuit Drive lot, off LaSalle Street. Tyler’s Restaurant & Taproom and Sam’s Quik Shop will be hosting the 6th Annual Bull City Food and Beer Experience on Sunday, March 24, 2019. The event features restaurants paired with breweries spread throughout all three DPAC floors featuring unlimited samplings and the Harris Onstage Experience showcasing live music & local food trucks.